Provide accurate, complete and timely entry of a significant portion of the DeKalb County’s Property Tax System. 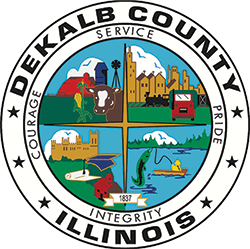 Interpret and label conveyance documents recorded in the DeKalb County Recorder’s Office transmitted via transcript to our department for entry in the property tax system. Use the recorded documents to update the digital *cadastral base map *(A map showing the boundaries of sub¬divisions of land, usually with the bearing and lengths thereof and the areas of the individual tracts, for the purposes of describing and recording ownership). Assigning and retiring Permanent Index Numbers (PINS) on the maps and in the Property Tax System program with the ownership information. Updates are released to the GIS department for upload to the COMPASS GIS Map on the 2nd Tuesday following the recording month. Perform Farm Land Assessment & Farm Land Preferential Assessments. $25 for buffer zone, includes map and parcel list with site address, mailing address and owner names.